If you’re going out drinking this weekend, know that one drink too many can cost you upwards of $20,000. That’s the equivalent of a taxi ride half-way around the globe. I kid you not! Twenty thousand dollars is approximately how much your first DUI can cost, considering only the ticket for driving under the influence or driving while intoxicated, better known as DUI or DWI, without any additional property damage or injuries. The reason for such high financial penalties for DUI offenses is to deter drunk driving, and it comes as no surprise why. Per the National Highway Traffic Safety Administration, one person dies every 53 minutes as a result of alcohol-related accidents, that’s 28 lives lost every day, and nearly 1 out of 3 people will be involved in a drunk driving collision during their lifetimes. What’s the average cost of a DUI in the United States? The cost of a DUI conviction varies by state and individual (as age and other factors play a role in determining an exact figure), but in every state the cost runs into the thousands of dollars. In New York, for example, the projected minimum cost for a first DUI conviction is $9,500. In Illinois, that cost is averaged at approximately $14,660. Below is a list of usual expenses linked with first-time DUI offenses, and average costs and penalties. The fees and fines can be considerably higher for repeat DUI offenders, drunk drivers with excessive BAC levels, or drivers who are charged with any number of “aggravating” factors, such as an auto accident in which property damage or injuries to human life occurred. Note: These fees do not include hospital care for injured individuals, pain and suffering damage costs, lost job and career prospects, or lawsuit awards resulting from a death, which almost certainly would be in the millions of dollars. Often what makes an even greater financial impact, is the loss of time. Lost time means lost pay. 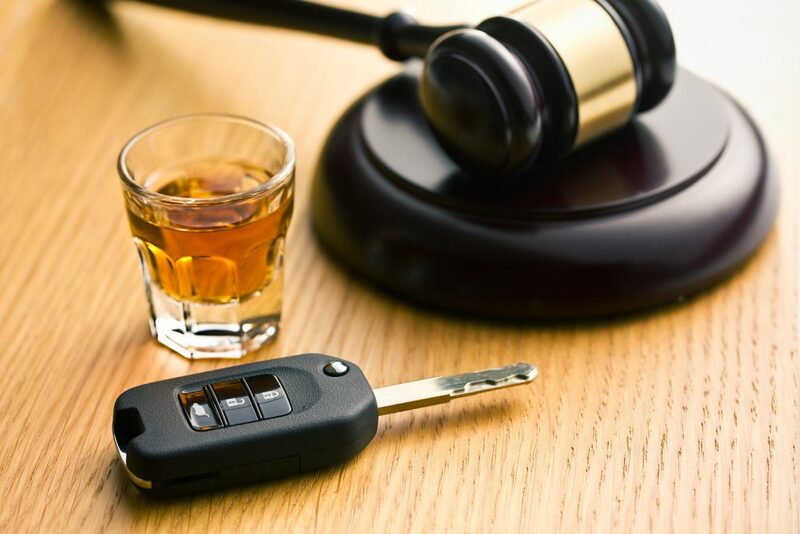 Individuals involved in DUI cases have to miss a lot of work as a result of court hearings, community service hours (estimated 48-96 hours), probation appointments, mandatory alcohol education classes (up to a year) and sometimes a jail sentence (of up to a year). That all translated into hours of lost income. For many, the loss of a driver’s license can also mean a job loss. While others will have to deal with a permanent record that will continuously reappear on job applications and background checks. Additionally, a DUI is a criminal offense (an unclassified traffic misdemeanor) that will stay on your record forever. It carries a variety of “collateral consequences” for various occupational and professional licenses and can become an issue when traveling abroad. To make matters worse, if the case involves a crash or there are other aggravating factors involved, such as a prior criminal record consisting of drunk driving convictions, the costs can be much higher. The court, apart from insurance or other civil claims, can order restitution for any sort of out-of-pocket expenses of the victim to an accident. The cost for multiple offenses will likely increase due to added monitoring, court fines, probation supervision fees, and other related expenses. Appeals of county court verdicts or DMV hearings are also time consuming, and therefore quite pricey. Losing your driver’s license at the DMV is yet another costly figure. In order to reinstate your driving privilege after an alcohol-related revocation, the cost of an ignition interlock device, SR-22 insurance, alcohol education and therapy, and the reinstatement fee can add up quick. Fighting a DUI charge and being certain that you receive the best possible outcome is one more expense. When hiring legal counsel, preferably a DUI attorney with experience and a good reputation in the court where your charges are filed, you can easily expect to pay over $5,000. The additions to your defense team for investigators and expert witnesses can be costly, even with an acquittal at trial. Not only can an experienced defense lawyer possibly get you off the hook in court or with your driver’s license, but he/she can also aid you through the legal proceedings with the least amount of consequence and roadblocks as doable. Even so, there is never a guarantee that legal counsel can get you a better result than going without one, so it is an expense that must be considered on the front end. It is logical that given all of the costs involved with a pending DUI charge, the process can seem overwhelming. Actions that you take on the font end can make a big overall difference to the disposition of the case and the overall cost in the end. Consequently, the most cost-effective move you can make at the beginning of the case is often investing in competent defense counsel to represent your best interests.